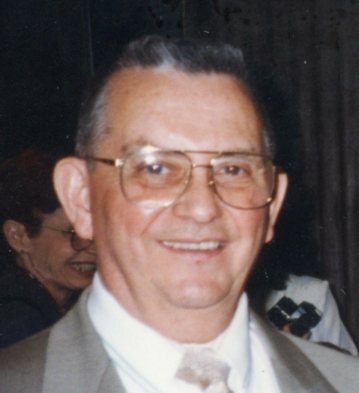 Loren Edwin Hole, age 89, of New Smyrna Beach, died Monday, December 3. Born in Muncie, Indiana, he lived and worked in that area until coming here in 1996. Mr. Hole retired from General Motors, worked at Marhoefer Packing for 29 years and was instrumental in forming the Marhoefer Credit Union. He worked at Hole’s Nut House as a teenager. Survivors include his daughter, Marsha Bemis of Muncie, Indiana; sons, Cecil Hole and his wife, Jennifer of Crowley, Texas; Dr. Robert and Dr. Susan Hole of Edgewater, Florida and Walter (deceased) and his wife, Bink Hole of Muncie, Indiana; 9 grandchildren; 14 great-grandchildren; and 1 great-great-grandchild. He was preceded in death by his wife, Rosemarie in 2008. Visitation will be from 4:00 p.m. until 6:00 p.m. Sunday, December 9 at Settle-Wilder Chapel. Funeral service and interment will be in Muncie, Indiana.